Acting in their local communities, Presbyterians across Canada are helping create peaceful, hopeful and sustainable futures for our brothers and sisters across the globe. Preschool students participate in a hop-a-thon for Ecuador. 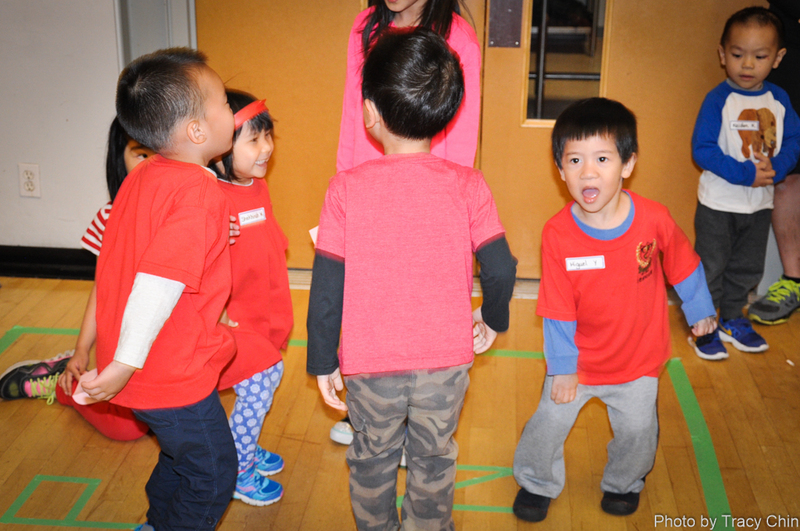 Chinese Presbyterian Church Preschool students in Vancouver, BC, participated in a ‘hop-a-thon’ to raise money for communities impacted by the earthquake in Ecuador. Eager to make a difference for recovering families, the students hopped enough to raise $3,469. Chickens, goats and other animals were among visitors to St. David’s Vankoughnet and Knox, Bracebridge during a livestock-themed VBS. St. David’s Vankoughnet and Knox Presbyterian Church in Bracebridge, ON, held an animal-themed vacation bible school and fundraiser to provide livestock to families in developing countries. “When one of our boys first heard about our project, he came back the next day with $20 of his own money to donate,” shares Dale McMillan, a VBS facilitator. 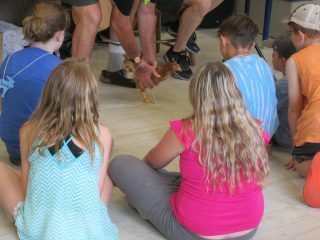 “He is about 10 years old.” Featuring visits from live animals, the VBS initiative raised $500 for PWS&D. 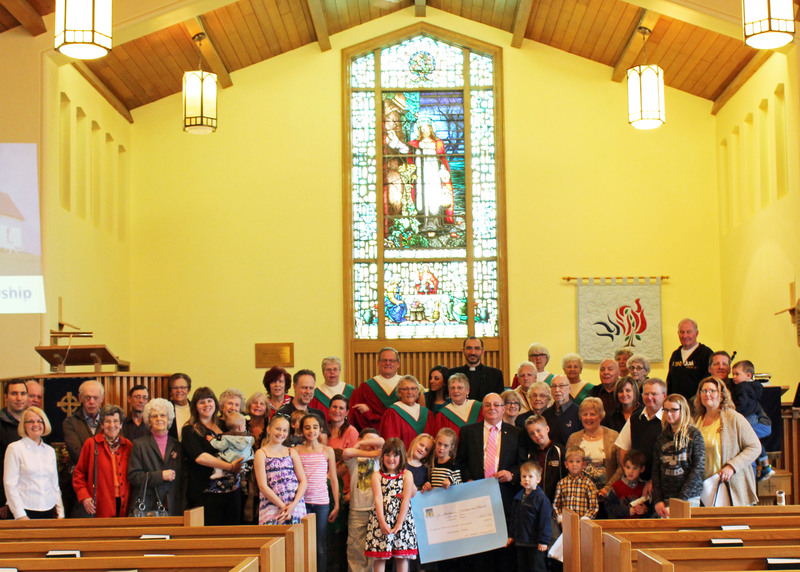 The congregation and church school at St. Matthew’s, Ingleside present a cheque for PWS&D. With members of the congregation, the passionate church school students at St. Matthew’s Presbyterian Church in Ingleside, ON, raised $1,000 in support of PWS&D’s maternal, newborn and child health project in Malawi. Because of their dedication, this little group is helping make a big difference in the lives of women and children across the globe. St. Andrew’s Presbyterian Church in Aurora, ON, hosted a Mother’s Day offering and barbeque in support of PWS&D programs benefiting marginalized communities in Guatemala. “As a result of these two initiatives, we raised $1,185 for PWS&D,” Kate Revington, chair of the church’s Outreach and Missions Team, shares proudly.